Event Purpose: To honor Veterans and active military personnel. 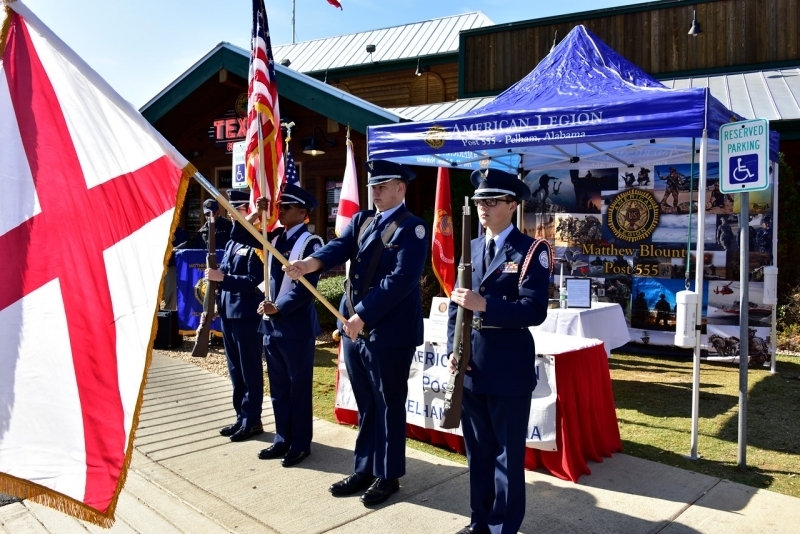 Texas Roadhouse in association with The American Legion Matthew Blount Post 555, the Kinion sisters, and Thompson JROTC honor Veterans and active military personnel. Texas Roadhouse manager and Store Marketer invites our Post to conduct a 15-20 opening program (Patriotic tribute to veterans) – see enclose narrative link below. Request the Post set up a “Fallen Heroes’ Table” and an informational booth from 10:30 am to 4:00 pm. They also invite us to join them from 11 am to 4 pm to select a free entrée and soft drink/tea from their Veteran Lunch menu. 11. Also, Post 555 members seek an opportunity to sit with Veterans without family members at their tables to provide fellowship while eating their meal.